Receive a real estate investor letter from Skye Homes? 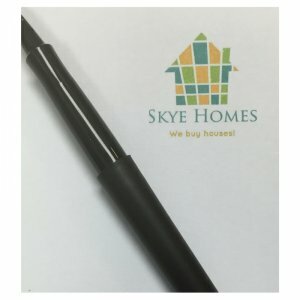 You might be wondering who in the world is Skye Homes? Or, why do they want to buy my house? Why did they send me a letter? Are they legitimate? Back to that real estate letter from Skye Homes… we sent it to you because we are investors looking to buy homes in the Bay Area. More importantly, we offer a service that helps homeowners get out of sticky situations. The situation doesn’t have to be that “sticky,” because selling your house to a Bay Area investor such as Skye Homes also makes sense when you do not want to work with an agent, you prefer a quick sale, or you just want to have a more personalized service. Our goal—scratch that, OUR PROMISE is that if you work with us you will experience an easy, smooth, and transparent process. We make fair offers to pay you cash for your house, or offer you terms*. Jake and Eurika Knight have over 20 combined years of helping people and buying real estate. Eurika leverages her extensive experience as a social worker to listen, empathize, and support homeowners who are dealing with life events. Jake is also an excellent listener and brings over a decade in real estate to tailor a solution that fits your needs. Whether you are dealing with a divorce, unwanted inherited property, delinquent taxes, code violations, mortgage issues, or no problem at all, we can help. In short, real estate investor letters are the best way to reach our client base and let them know how we can help. We also connect with folks on Facebook, Twitter and YouTube, but direct mail is a time-tested method of connecting with our client base. Many homeowners aren’t aware of the service we provide, so sending real estate investor letters is also an educational tool. Everyone knows what service a real estate agent can provide, but many do not know they have other options. Now that you have received a mailer and are reading this webpage (hello there), give us a call and let us know what your goals are with your house. We will ask you a few questions, come by for a quick look, and then give you a fair offer for your home. Our 3-step process makes selling your Bay Area house very simple and painless. In the event we aren’t able to buy your house, we are well-connected with bank negotiators, contractors, loan modifications specialists, real estate agents, and many other professionals who we have conducted business with and would feel comfortable referring to you. Give us a call at 877-210-6460 to discuss your real estate investor letter from Skye Homes and find out how we can solve your real estate problems. *Terms are when you finance a loan to us, also known as seller financing. Why would you do that? Depending on what your goals are, it might make sense to receive the proceeds of your sale in monthly payments instead of a lump sum (think: tax avoidance. Call your CPA to be sure).